Star India’s over-the-top (OTT) platform Hotstar aims to reach 300 million viewers for this year’s Indian Premier League (IPL). The company is banking on its engagement innovations to do so. Hotstar, which has been the home of the IPL on digital space since 2015, reached 202 million viewers last year. “This year, we are introducing the first-ever social cricket-watching experience. Viewers will be able to invite their friends and family to watch the match together on Hotstar, play along on the Watch N’Play game and make their voices heard by chatting about the match or their Watch N’Play experience with not only their friends and family but also with experts and celebrities,” says Varun Narang, chief product officer, Hotstar. Last year, the company introduced the concept of Watch N’Play where Hotstar users could play along with the match, predicting the outcome ball by ball or over by over. The feature helped the OTT service gain engagement with the viewers and helped improve stickiness of the content, leading to longer time spent on Hotstar. 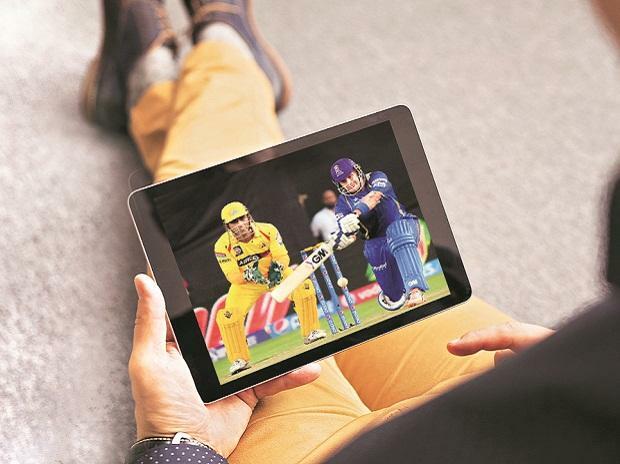 According to Narang, data from 2018 suggests that those engaging with the IPLs’ Watch N’Play feature spent three times more time on Hotstar than average viewers. Hotstar has also integrated a leader board for viewers to compete and see where they stand against their friends and family and users will be awarded points, which can be redeemed from Amazon Pay. Also, through its partnership with Swiggy, users can order their Swiggy Pop items directly from the Hotstar app. Integrating brands into the experience of watching IPL on Hotstar has been one of the focus areas for the platforms. One of the perks of digital streaming is the absence of intrusive ads. However, India being predominantly an ad-supported market even for OTT platforms, selling ad inventory online becomes important to monetise content. “From a brand perspective, we are doing ad targeting at scale. We are not aware of any service anywhere in the world that does live sports ad targeting the way we are doing today. We are also offering branded cards with contextual message to reach consumers at the right time during the match,” Narang says. Contextual branded cards provide brand an opportunity to engage viewers at scale while the game is in play. They can leverage key moments in a match and use them to drive action. Sponsors on Hotstar for the IPL include Swiggy, Amazon Pay, Dream11, Coca-Cola, Flipkart, Maruti Suzuki and Maggi, with more expected to come on board as the tournament kicks off on March 23.